For people of all ages we need actors, actresses, narrators, make-up artists, and costume artists. We will participate in seasonal productions as well as occasional skits. A component of the Drama Ministry will be the Spoken Word Ministry. — Jesus often used verbal illustrations, parables and stories that had a dramatic effect upon the listeners. Dramatic readings, plays, illustrations and story telling will be an exciting new way to proclaim the Gospel of Jesus Christ. 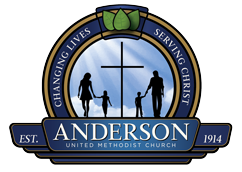 To learn more about this exciting new ministry at Anderson, please contact the Chairperson of the of Worship Arts Ministry.